We know that if a coil rotates in a transverse magnetic field a sinusoidal voltage is induced between its terminals. Why it is exactly sinusoidal in the shape and not any other wave shape?? 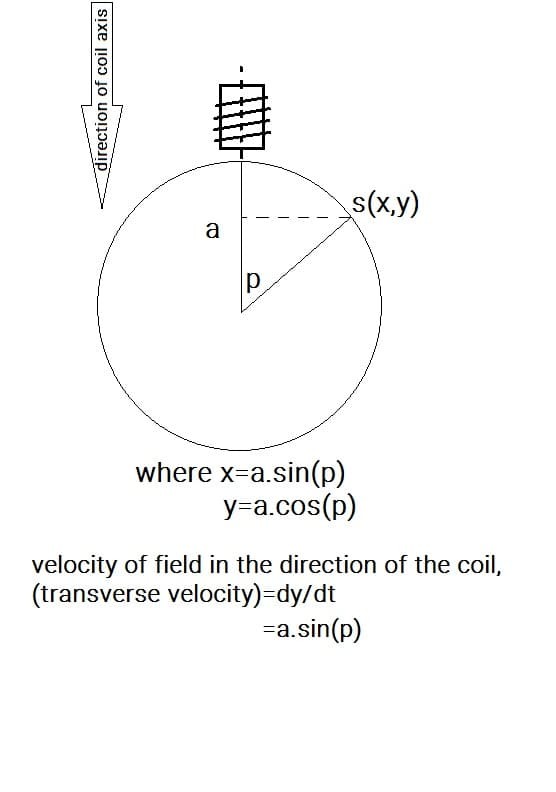 The voltage induced in a coil due to any moving magnetic field is directly proportional to the velocity of the field in the direction of the axis of the coil. Hence voltage induced by a rotating magnetic field is obtained sinusoidal as shown in the representation in the attachment. The same applies if you want to drive a motor, you will have maximum efficiency and smoothest torque when the driving voltage is pure sinusoidal. The representation needs, v=|dy/dt|, but you get the picture right?